Happy Chinese New Year! 2014 is the Year of the Horse, one of the 12 animal signs of the Chinese zodiac. People born in the year of the horse have a contagious enthusiasm. They are happy and fun to be around, and usually have a lot of friends. They love meeting new people and exploring new places. They are big talkers….they love to tell a good story! Curious about the Battle of Britain? Ask my dad…..go ahead…..I dare you!! He won’t stop talking until he has told you every detail. I received an A on my high school term paper, without ever even opening a book! Now for the negative characteristics – unstable, temperamental*, impatient*, insecure, hot tempered*, irresponsible, ambitious, careless, vulnerable, (let’s just say ponzi scheme, and leave it at that), spendthrift (he is the King of $5 dress shirts), superficial, contradictory ( wears those $5 dress shirts while enjoying a $200 meal in a fancy restaurant), vain, easily panicked, anxious. I have mentioned several times before, that Chinese food is a staple in our house. 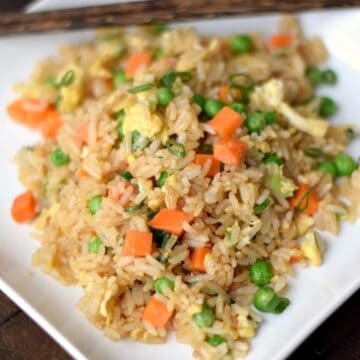 Fried Rice is another one of those meals that come in handy, when I have no clue what to make! Most recipes will tell you to use cold steamed rice, I do not have time for that. 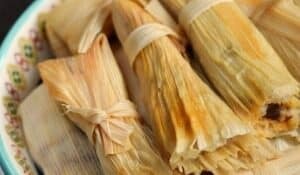 Click here for my Steamed Rice recipe. I prepare my ingredients while the rice is cooking….. 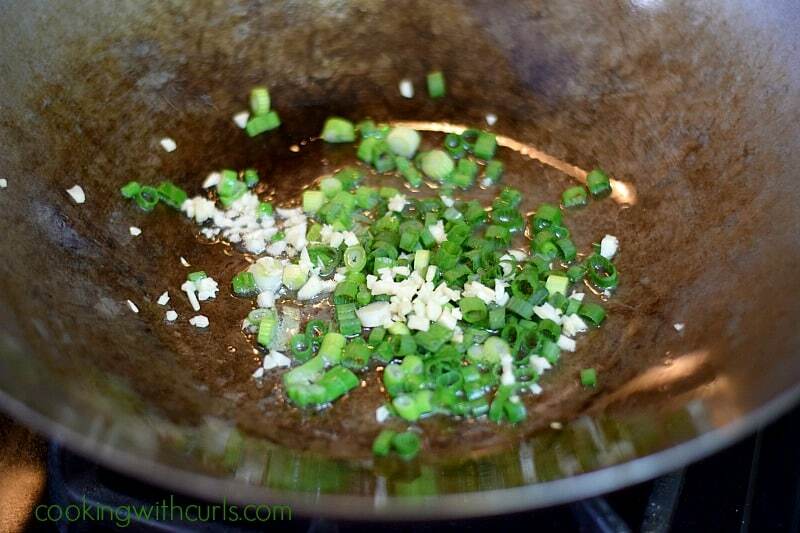 When your rice is almost finished cooking (about 5 minutes left), heat the oil, then add the green onions and garlic…..
Do not worry if you do not have a wok, I have also make this rice in a large skillet. 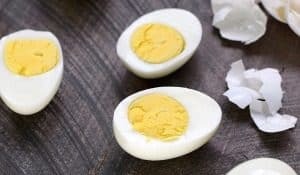 Season your eggs with salt and pepper, lightly beat them, and add them to the pan…..
Once they are set, push them to the edges of the pan, add more oil…..
and add your cooked rice, and stir everything together…..
add the cooked peas and carrots, along with the soy sauce…..
Stir together and cook until thoroughly heated and combined….. 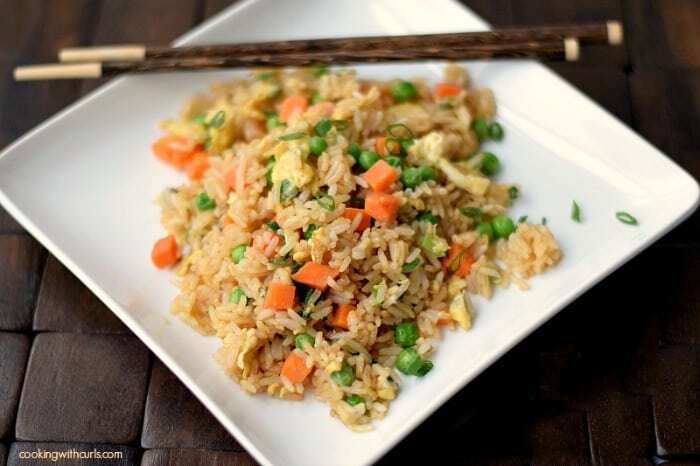 Serve with Beef and Broccoli, Mongolian Beef, Teriyaki Salmon, Orange Chicken or add Shrimp, cooked chicken, or tofu to the rice and make a complete meal. Start to finish, this rice is done in 30 minutes!! 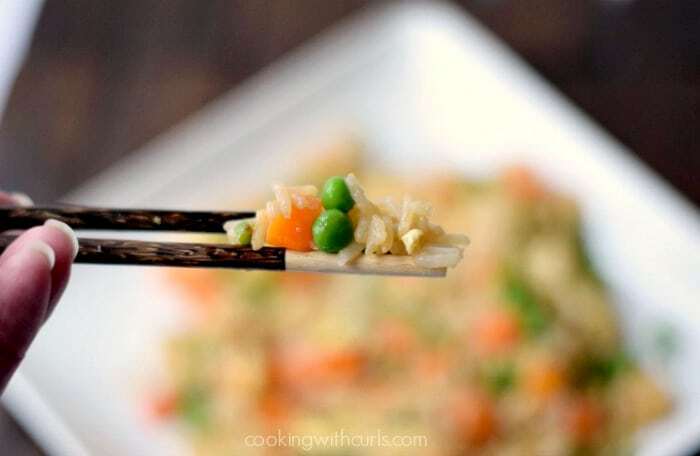 🙂 If that is not fast or easy enough, you can also make Instant Pot Fried Rice if you prefer. Looking for Whole30/Paleo? Check out my Paleo Shrimp Fried Rice or Chicken Fried Rice. 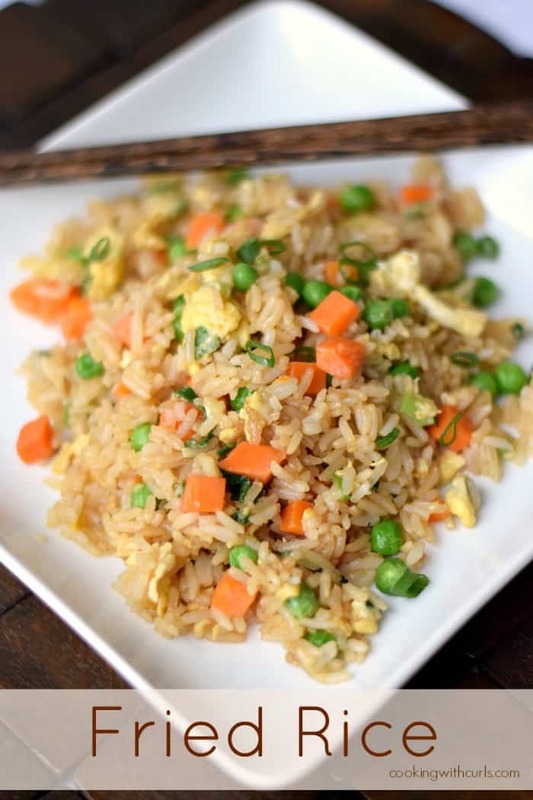 Super easy traditional Fried Rice just like your favorite take-out, but much healthier! Heat 1 Tablespoon of oil in a wok over high heat. 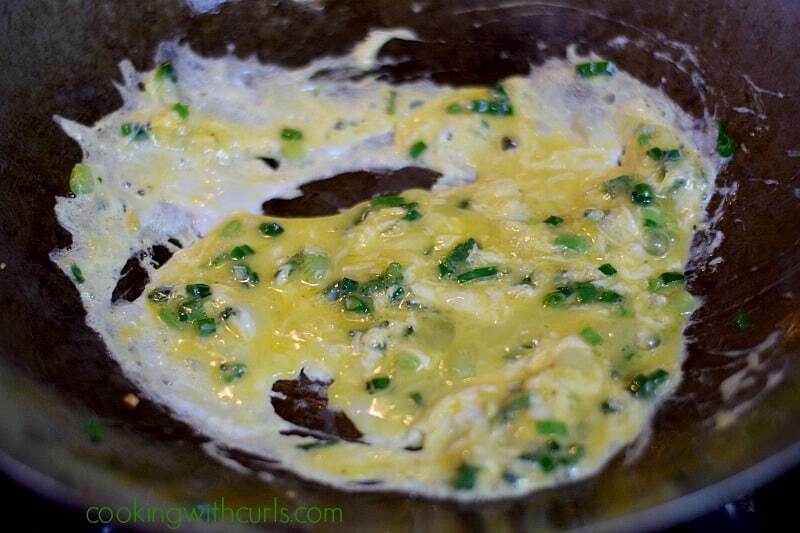 Add green onions and garlic. Stir and cook for one minute until fragrant. Add beaten eggs and scramble until set. 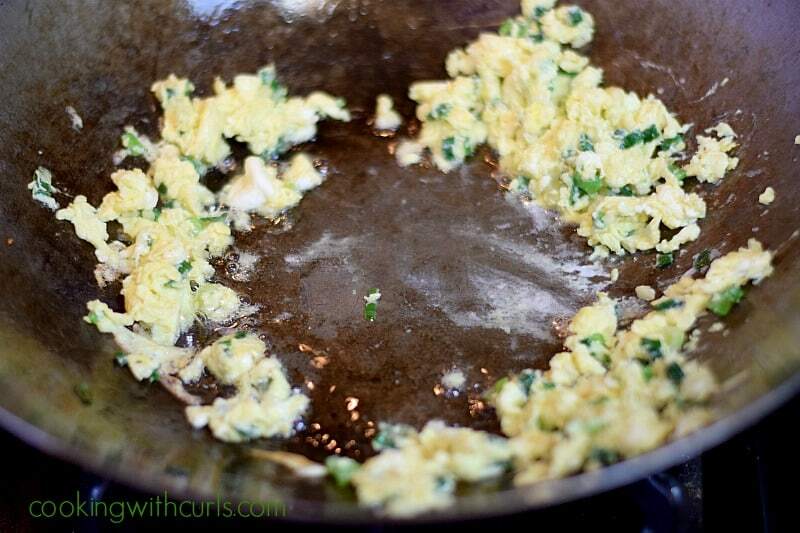 Push eggs to outside edge of the wok, and 1 more Tablespoon of oil. 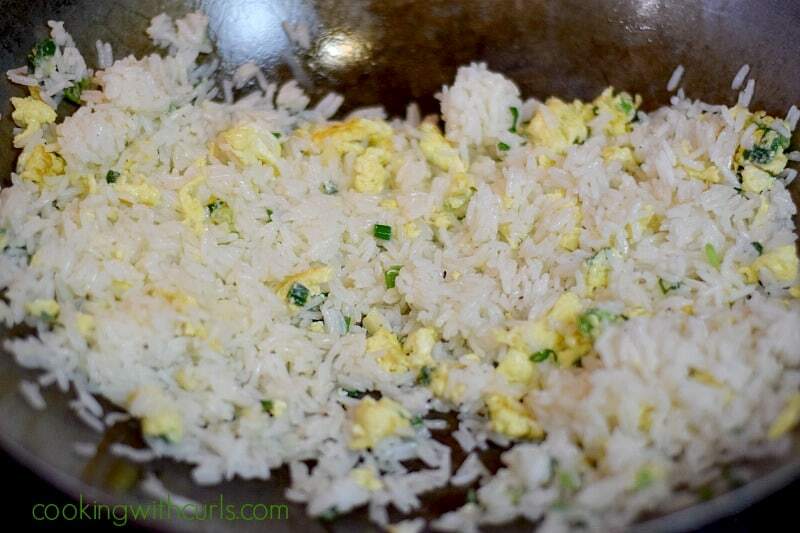 Add the rice and stir-fry to combine with the eggs. 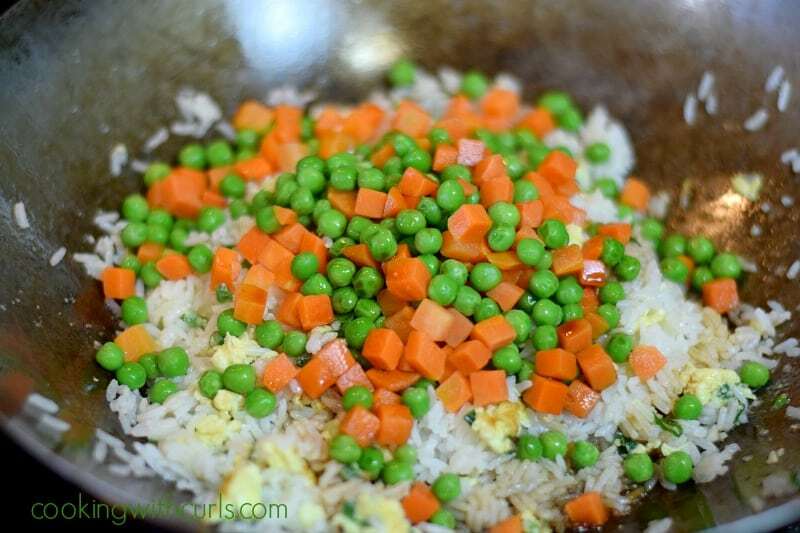 Add the peas and carrots and the soy sauce, continue to stir-fry until heated through. 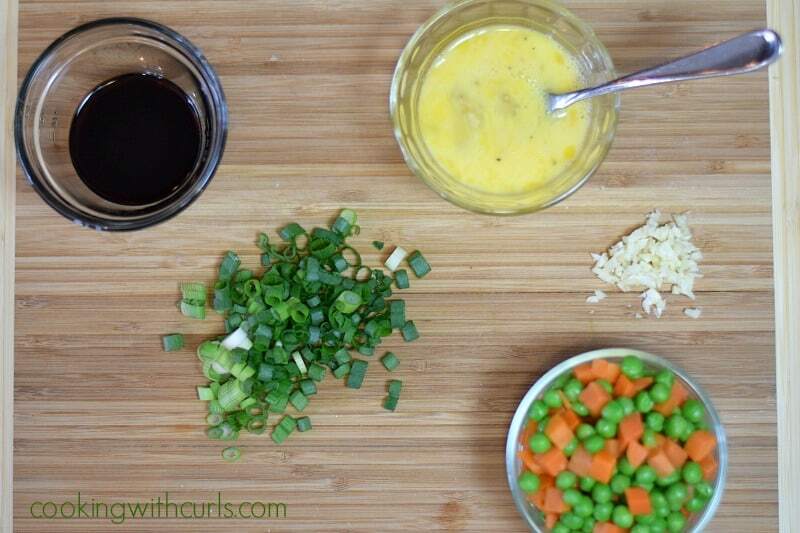 This fried rice looks awesome Lisa! Great recipe and yay for the year of the horse – my husband is a horse too and he is definitely enthusiastic and likes to talk a lot lol. Have a great weekend! Hi Jody, I’m glad you found me as well. 🙂 Very easy, enjoy! 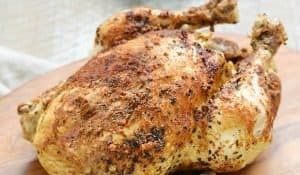 Found your recipe for this on someone’s blog, and she gave you the credit 🙂 but I have a question, I am on your blog and I see no where to sign up !!!! Would love to sign up for your blog….. Trying to think of the blog that I found this on….I believe it’s something like The Weary Chef…….or something like that….. 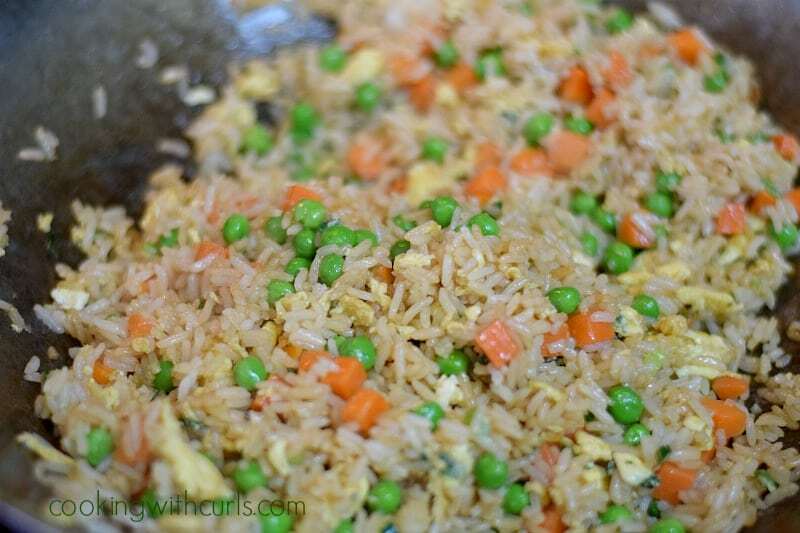 I don’t know why I so rarely make fried rice…..my family would LOVE it!! This is a must-try recipe, Lisa!